One of the most exciting parts of moving into our new space has been having a clean, fresh canvas to start on from scratch. The downside? A blank canvas is, well…super blank. 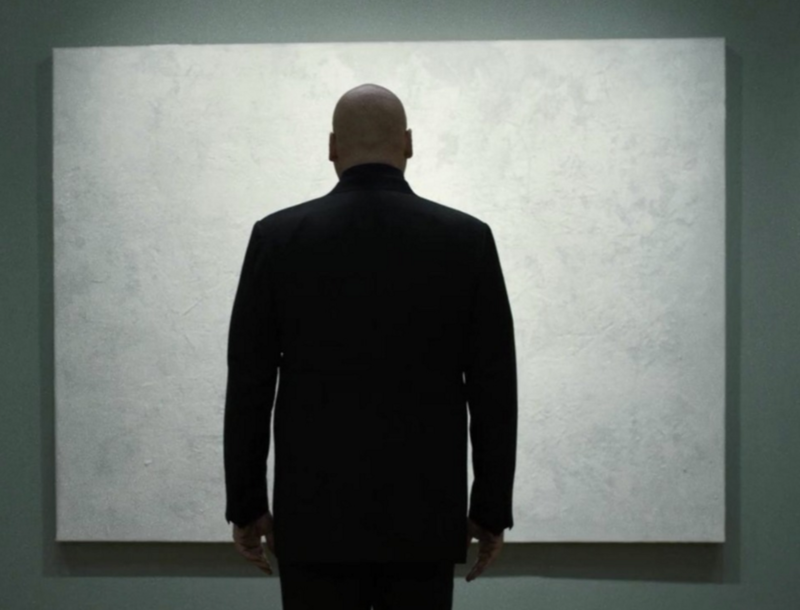 We felt kinda like Wilson Fisk in Daredevil and his white painting. …ok, maybe not quite like that..that was a dark storyline, yo. 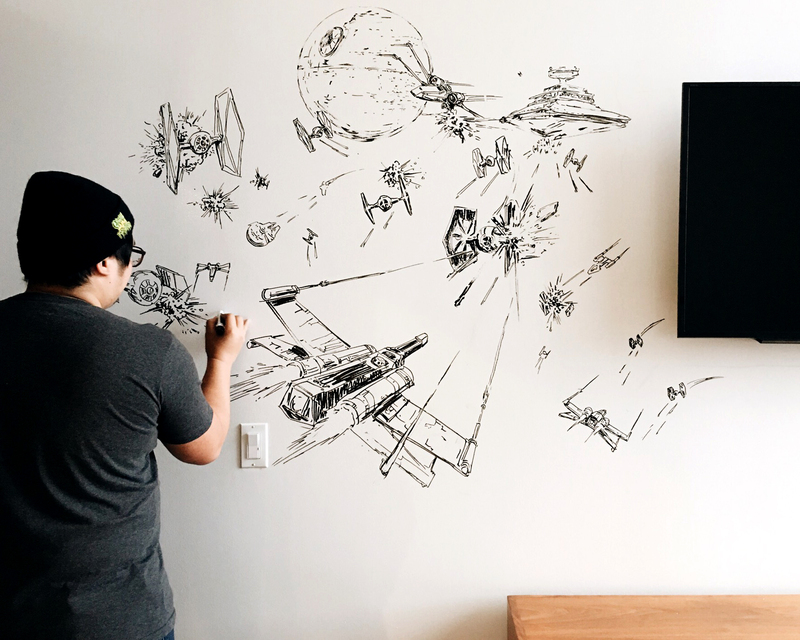 At our old space, you couldn’t walk five feet without seeing a piece painted by a street artist, a wall of prints, or a mural done by some of our Threadstaff here. 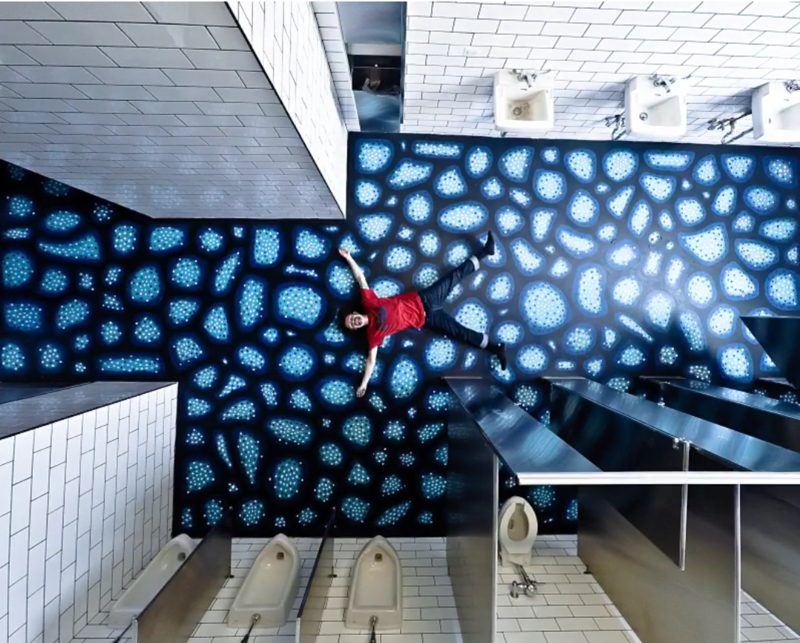 We wanted our bathrooms to be clean in a health sense – not in a blank wall sense. Sick Fisher took the concrete floor in the dudes’ bathroom from boring to rad, covering it with his cool blue pattern. And for the ladies’ bathroom, we had one of our favorite ladies Elloo Elloo create this amazing invasion of adorably monstrous pastel pastries. We couldn’t have the doorway to the Threadless HQ barren of art. So besides dressing up our lobby couch with some throw pillows, we had Lauren Asta – the artist who is slowly but surely covering Chicago with her doodles – dress up our wall. We wanted to take over the outside of our building too! Brain Killer did this amazing (and amazingly daunting) mural up on our watertower. Cover your walls with wall art here! Posted in Blog, Fun Stuff and tagged Brain Killer, elloo elloo, Junkyard, Lauren Asta, murals, sick fisher, street art. Bookmark the permalink.